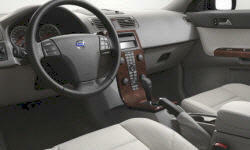 Why the 2007 Volvo S40? We now have over 50k miles, and the car has nothing but routine maintenance. Very reliable. Have visited the Volvo factory in Sweden, and they take a lot of pride in the cars they make. They are moving beyond the image of the "brick" car and are making some very nice vehicles. We bought ours used with only 18k miles on it. It was about 50 percent off the MSRP of a new 2010. A friend was surprised that we paid about the same she did for her Hyundai. It has a lot of arm and leg room for a smaller car. We have the most basic model, with absolutely no extra options(no sunroof, heated seats, power seats, etc.) The fewer buttons and functions the better in our opinion. The dash has a very clean look. 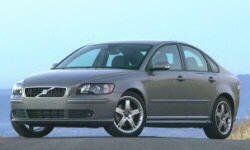 Why Not the 2007 Volvo S40? Not a lot of room for tall adults. Good for kids. I try to avoid the dealership as much as possible. Find an independent mechanic, or service the car yourself. I think the rear view mirror should be wider, and there is a little bit of a blind spot where the rear pillar is. Rear window has less visibility than the car it replaced, so it takes some getting used to.